That's me using a very heavy compactor like a boss. Yuuuuus! 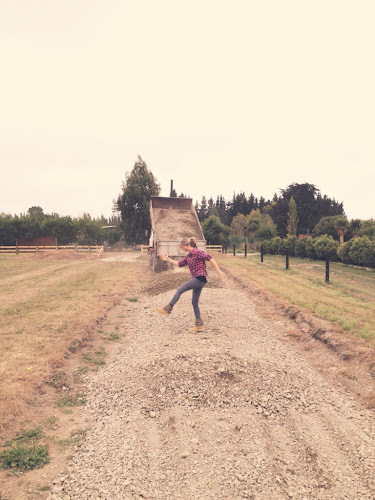 That aside, I have been really struggling to keep up with posting.... So much happening at the moment and so little time to document it. I vow to try harder so that I can look back and have a step by step of this massive journey. Ok. Right, here I go again. 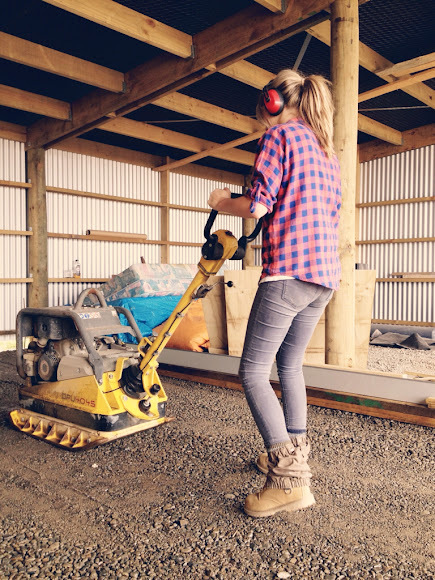 The shed is pretty much 100% done, I'll post a photo after this weekend when it reaches full completion (I would prefer if you read 'full completion' in a deep theatrical movie trailer voice) it is so exciting to see it completely come together and how far we have come since digging holes in the scorching heat in December. 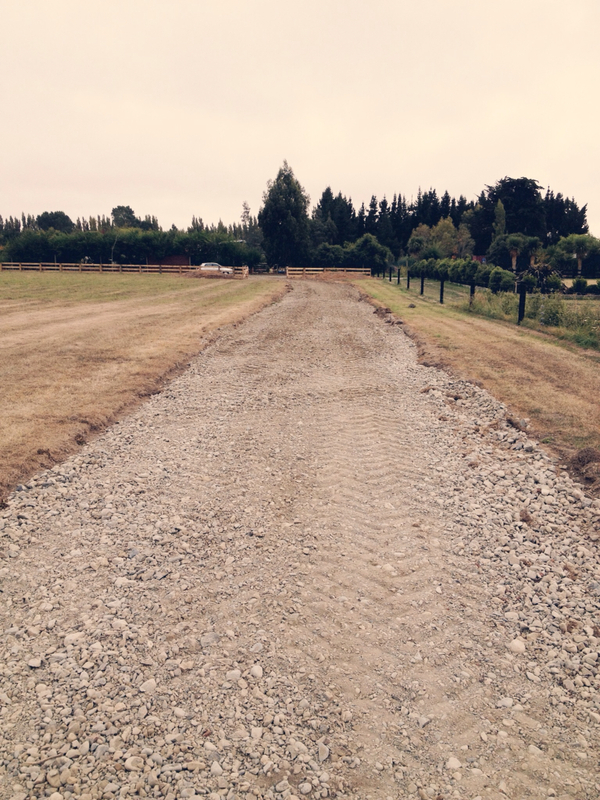 The latest big job was laying the base course for the driveway, and seriously, what a huge difference.... Just seeing the base course down even... We actually have a driveway....a real driveway! 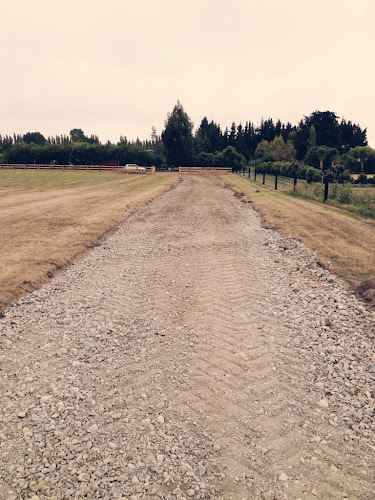 No longer are we just driving onto a paddock but we are following a gravelly path (aka a driveway) and it put a huge smile on my face and made me feel like dancing every time Dad unloaded a truckload of gravel.... So I did. Once we had unloaded all of the gravel it was then time to use the grader on the back of the tractor to smooth it all out. Dad has mad skills in this department. Obviously from years of practice (see even blurrier than usual pic below of my parents on their first tractor in 1975...cute) ,although I did spend some time in the tractor with him telling him where he needed to push from, take from, even out....I'm pretty sure he loved the help. Ha. 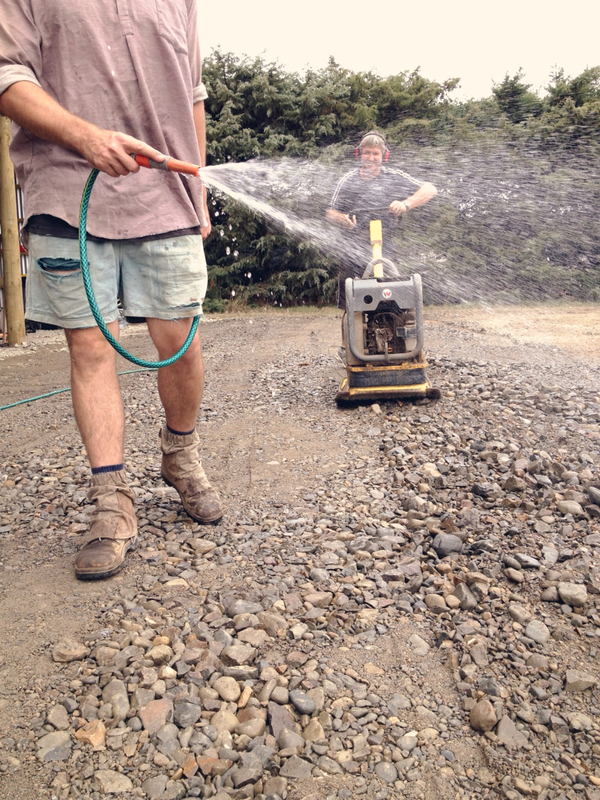 Dad and Guy doing some more compacting out the front of the shed.... These two make a great team.